What inspired you to want to represent Team USA? What inspired me most, to represent Team USA for the Bocuse d'Or, was the rich history of the actual event. The competition has evolved immensely over the last few years and you are starting to see more and more chefs from well-known restaurants recreate what we think of as "competition food". With the opportunity to be part of a team that will push the limits of what we can do in the US is very inspiring. How was training for the US selection different from training now for the Bocuse d’Or? Training for the US selection was very challenging due to the fact that you are spending time both in your restaurant as well as preparing for the competition. This creates very long hours and usually no days off. So with the opportunity to fully focus only on the competition makes the creative process as well as the ability to train much easier. How is training full time different than working in a restaurant kitchen? I have only worked in restaurants for my entire career so the competition world is very new to me. With that said, there are tremendous lessons to be learned from an organizational standpoint to recipe development, which will stay with me when I go back to the restaurant business. It is difficult not having an entire team surrounding you to execute the prep work that goes into creating all the individual components. In a restaurant, as the chef you conduct your team on what you need prepared; in the Bocuse d'Or you have to be both the conductor and the cook! To learn more about Chef Mathew Peters, click here. What has it been like to train and be advised by such incredible chefs as a young cook? It has been incredible. You get inspired by a lot of these chefs' cookbooks. It's an amazing feeling to actually be mentored by them in person. What has training for the Bocuse d'Or taught you? To be extremely organized and creative. You have to think out of the box, but still make your food taste incredibly good. What has been the most challenging part of this process? What has been the most rewarding? The most challenging part is that I have only been in the industry for 3 short years so I have much to learn to get to the level of the chefs that I am surrounded by. The most rewarding part has been being surrounded by the greats of my profession. To learn more about Commis Harrison Turone, click here. 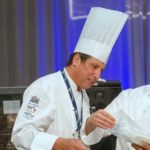 How has your experience competing at the Bocuse d’Or in 2007 influenced you as a chef and mentor to Team USA? It is a part of my DNA as a chef. It is a great way to challenge yourself and others around you. Why is the Bocuse d’Or such a challenging competition? The Bocuse d'Or tests your discipline, will, desire and drive. It is as much about having a mentality like a professional athlete as it is to cooking. How has getting on the podium changed the world’s perspective on Team USA? We are no longer the underdog. Can Team USA win gold? 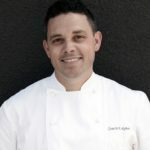 To learn more about Chef Gavin Kaysen, click here. How has your win at the 2015 Bocuse d'Or influenced your coaching of Team USA? For the past 30 years the US teams have searched for the winning formula at the Bocuse d'Or. For the first time we have a winning formula to build on, an approach that has been tested and proved at the highest level. My task this year is to cultivate the incredible talent and drive possessed by Matt and Harrison and help them build on the foundation that we established in 2015. The greatest tool we have this year to push us forward is confidence built on experience. How have you grown as a coach through this training process? There are many levels to coaching the team. My number one goal for the team is to build a culture that is focused on the task at hand and to block out any other distractions that would pull the team away from the ultimate prize. The next, and equal, challenge is to build the future of Bocuse d'Or USA and establish a legacy for teams to come. Learning to balance both of these tasks successfully is the biggest learning curve. What are the most important lessons you hope that Team USA will take away from this experience? Teamwork and Trust. Nothing happens in preparing for and competing in the Bocuse d'Or without a spirit of collaboration and the ability to trust one another. So many people are involved at every level: the commis, assistant chefs, sponsors, purveyors, gardeners, coaches all have an integral part to play in our eventual success. 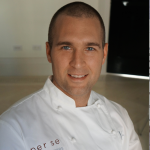 To learn more about Chef Philip Tessier, click here. What influenced your decision to become involved with Team USA 2017? I have long been a fan of the Bocuse d'Or. I was first introduced to the competition by my mentor and former chef, Robert Sulatycky, when I worked for him in Chicago in 2003. He had competed for Canada in '99 and was active in Canada's national team. I was lucky to travel with team Canada to Lyon for the '07 competition and see the competition first hand. Ever since I have been passionate about the competition, and I'm very honored to play a small part for my home country. Why do you think the Bocuse d'Or is important for the US? For me, the Bocuse d’Or represents fine dining at its purest. In our day to day lives as chefs, you cook for a multitude of guests, the public if you will, with a brigade of cooks behind us to accomplish your cooking. At the Bocuse d’Or you are cooking for other chefs, your peers and betters in your profession. It’s tougher to impress or surprise them, as they share the same professional insight as you. It is also just yourself and an apprentice using your own hands to produce the final result. Your restaurant’s reputation, its accolades and accomplishments, your staff who supports you; this all means little at the Bocuse d’Or. There is nothing to hide behind. With this in mind, I have a profound respect for the competition and its competitors. Our country has long been relegated to the second tier of competitors of the Bocuse d’Or. I believe that our nation’s current culinary endeavors are of equal standing with any other nation’s culinary traditions, and I believe it to be critical to our country’s culinary community to represent ourselves accordingly at the Bocuse d’Or. As a spectator at both the ’07 and ’15, I have personally seen the results of the tremendous efforts of Team USA over the last decade to improve our standings as an international contender. Standing in a crowd of thousands from all over the globe as the results were called, it was a deeply moving moment when Grant Achatz announced that the US had won silver. I felt proud to be an American chef. Now we owe it to ourselves and to the country we represent to win gold. 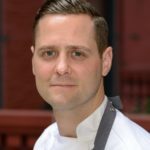 To learn more about Chef Matthew Kirkley, click here. How has the Bocuse d'Or changed since you competed in 1999? The level of the competition just gets harder and harder every year. 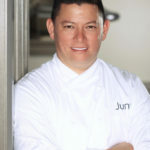 Couple that with the influence of molecular culinary techniques and the result is food that is highly refined, technical and conceptualized. However at the end of the day, it’s still the best tasting food that wins. The competition has garnered so much more attention since 1999. It’s bigger in every aspect. It’s more significant than ever, it’s attracting the interest of many more nations, it truly is the most important culinary competition on the planet. It was an eye (and tastebud) opening experience to sit on the international jury. Finishing fourth in 1999, I always wondered what the difference was between say, first place and third, or second and fourth. It finally came full circle and made sense when I judged. It was down to the simplest of things, perfect seasoning, perfect doneness on the fish or meat and the food being warm. These sound like very easy steps to achieve in the workplace kitchen on an everyday basis. However, in the hyper stressful and extreme pressure environment of the Bocuse d’Or, in a kitchen space that is not familiar, with fans making deafening noise, these simple things can be quite elusive. It was these simple things that made the difference between the top six countries. As a coach now, I focus and stress the importance making sure the basics and the simplest of tasks are perfect. Perfection is just a lot of little things done well. I hone in on all of these little things, knowing that if we get them all right, then we’ll have the best tasting food, and that’s what wins. What advice do you give chefs who are looking to compete in the Bocuse d'Or? First and foremost, seek out and work for the very best chefs. Focusing on disciplined technique, a broad exposure to different cooking styles and with a keen interest in constantly pushing oneself. Get involved, any way you can, with Bocuse d’Or USA, as a volunteer or helping with a local Bocuse d’Or fundraising event. Start by entering some local competitions which might lead to competing in the ment’or young chef or commit competition. Competing in the Bocuse d’Or was a career highlight for me and I encourage all young chefs to strive for that goal. 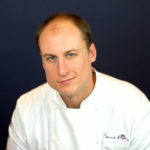 To learn more about Chef Robert Sulatycky, click here. What motivated you to be a part of Team USA? Being able to collaborate with some of the country’s best chefs and professionals is amazing. It’s an incredible and humbling opportunity to be a part of the team that is representing our country at an international level. Why is it important for young chefs to know about the Bocuse d'Or? At this point the exposure to the competition is limited, and I do hope it will grow in the future. The Bocuse d'Or competition is a singular event that promotes healthy competition that cultivates growth in our profession. Creating awareness for the generations to come will help to build a legacy and continue to have relevance internationally. What were some of your key observations after attending the Bocuse d'Or Europe Selection in Budapest in May? How do you think these impact Team USA and their training? Observing the high level of the competitors and seeing the extensive training and resources they invested emphasized just how much work is ahead of us. Seeing where some of the teams struggled and watching the teams dealing with crisis helped us to articulate some challenges to address and be prepared for. Also, seeing how long the platters are paraded around for, photographed, the way they are handled, then finally broken down and dressed on the plates made the team realize that the food needs to be very stable, as hot as possible and easy to handle/transfer. To learn more about Chef Brian Lockwood, click here. It is important to give knowledge that I have learned and transfer it to someone else so they can at a high level. I enjoy the interaction with someone who is a serious competitor who has the same competitive mindset that I have. Training and competing in the Bocuse d’Or shows and requires a high amount of growth. Being involved with Team USA also allows me to give something in return and I’m able to give to the younger community. The Bocuse d’Or is a representation of cooking. The United States needs to be competitive and prove they are a prominent country. They need to say they are a food country and they need to be serious about this. I look at it like the Olympics. When did you learn about the Bocuse d'Or? I’ve known about the competition since I was very young. My dad was a chef and my uncle is a chef so I’ve had cooking in my family for a very long time. What is your advice to Chef Mathew Peters as he goes into the last 6 months of training? Matt Peters is already very focused. Now, it’s important to focus on what he’s doing with Phil Tessier and everyone who’s advising him. He needs to stay focused on the food and stay focused on the process and visualize winning. For the next 6 months, he has to see himself winning. He has to visualize himself on that podium with gold. To learn more about Chef Shaun Hergatt, click here. The Bocuse d'Or competition is an opportunity for the US to present itself on a global culinary stage. The competition also helps to bring the young American culinary community together. Competitions like the Young Chef Competitions allows for culinary students and young talents to get the proper support and mentorship to help them succeed and progress down the right path to achieve their goals. Be ready to work. It is an experience that will not only teach you how to compete, it will teach you how to stay motivated, organized, and become a leader. The competition is so much more that just one day of cooking. It will change your entire perspective on how you function both in and out of the kitchen. As a coach/advisor, what do you try to instill in the competitors? You can always do more than you think you can. Be willing to listen to your peers, the collective is always greater than the individual. A willingness to listen to others will take you exponentially further. To learn more about Chef Dave Beran, click here. How was competing in the Bocuse d’Or different than competing in other competitions you have participated in? I have competed in over 50 competitions around the world. The biggest difference for me was the energy surrounding the Bocuse d'Or. This puts intense pressure on a candidate. There are so many people watching, and cameras everywhere. You really need to be poised and have great mental control to compete in the Bocuse d'Or. While the other competitions are still very intense for me the Bocuse d'Or was the pinnacle. What advice do you give chefs who are looking to compete in the Bocuse d’Or? You need to train and put yourself in the mind set of competing every day, even when you are at work. The discipline you demonstrate during the try-outs and the competition should ultimately be an extension of how you work each and every day. You can't just decide you are going to cook at that level. It should be practiced, what ever and where ever you are cooking. What do you think it takes to win gold? I think what we are doing now is a recipe for winning gold. There is no one person that has all the ingredients to win, but, collectively, each year the past competitors contribute to the next candidate/team. That is what we never had before. The Team has built a great foundation and that is how you win. It is like a great football team. You need the fundamentals of the program and that takes time and contributions from everyone. 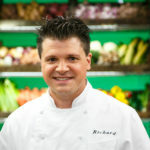 To learn more about Chef Richard Rosendale, click here. How was creating the platter for Bocuse d’Or 2015 different from what you typically do? Being part of Team USA and getting to witness the amazing atmosphere of the competition is definitely not a part of the typical routine of a small design outfit like Crucial Detail. In terms of the design process itself, it is not particularly different; we ask questions, learn about the concepts behind the food, and then offer back insights and develop solutions. Being a part of the team is both an honor and a responsibility, providing an unparalleled level of intensity. What are some guiding thoughts you have in mind when designing the platter? It's a tool for food presentation and delivery. It shouldn't overshadow the food but bring focus to it. It plays a supporting role. And it needs to do it functionally, conceptually, as well as aesthetically. How did you come up with the design for Team USA 2015? The question in my mind was how to we take Phil's classic approach and run with it. I should mention that the project evolved beyond what we originally set out to do and the platter ended up being just one of the components. The most visible one, but far from the only one. The entire creative process in case of Bocuse d'Or revolves around and culminates in a 5-1/2 hour cooking competition and we were able to consider dedicated cooking tools as an integral part of the design contribution. Most commonly, versatility is one of the primary considerations in tableware and cooking tool design - that generally limits one on many levels due to our preconceived notions of what versatility may be. This often happens subconsciously before even getting to testing one's ideas. In the case of dedicated, highly specialized competition food, tools, and serviceware, the driving forces are precision, simplicity, speed, and efficiency of the execution of exactly defined culinary concepts. As a result, we get to explore ideas that otherwise might not be considered. It was this process, the understanding that grew from developing the culinary tools together, that we were able to build on in making the food the focal point of the presentation. Why is it so important to have such an impactful serving piece when serving food? The service piece needs to support the food and allow it to shine on many levels. It needs to stop a conversation, guide the eye, and emphasize the quality of the execution as well as some of the concepts behind it. And it needs to do this in a very fast way considering how little time judges have to take it in. To learn more about Martin's bio, click here.